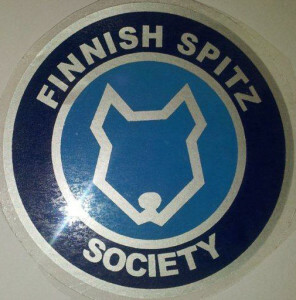 A round vinyl window sticker/decal with the Finnish Spitz Society's logo and the words "Finnish Spitz Society" in silver on a blue background. Peel off waxed paper on front side to reveal adhesive. 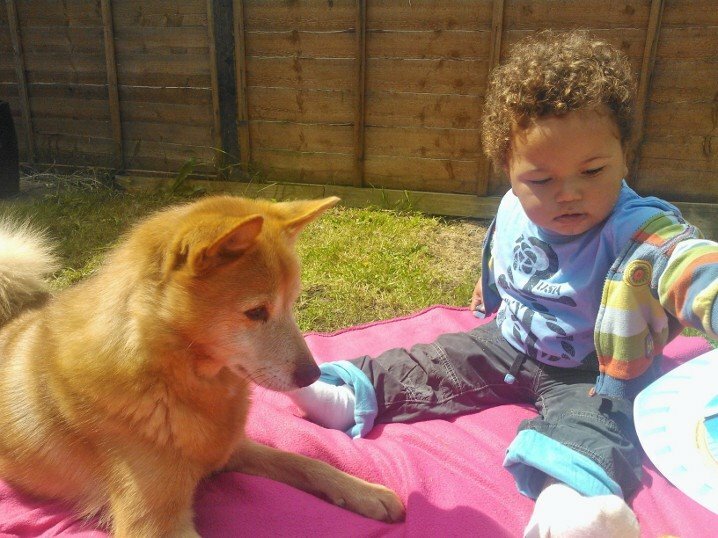 The diameter is approximately 10 cm and the weight is less than 2 grams.